Every time the school has a Racial Harmony Day we spend too much time cringing over all the earnestness and too little time constructing home-made Sydney Opera House costumes from paper plates. H, if you’re reading, you’re an inspiration and also a lesson. If we’d got on the paper plate bandwagon we may not have had to console our daughter today on account of “not being Chinese”, which (I can’t quite untangle this) has something to do with flags, seaweed, and pretty dresses. Her father, at the last minute, threw her into a yellow T-shirt and navy (close enough) culottes and handed her a cricket bat. Great Australian tradition, he said. You can just picture them playing it in the Dreamtime. Although the sport is obviously not exclusive to Australia. 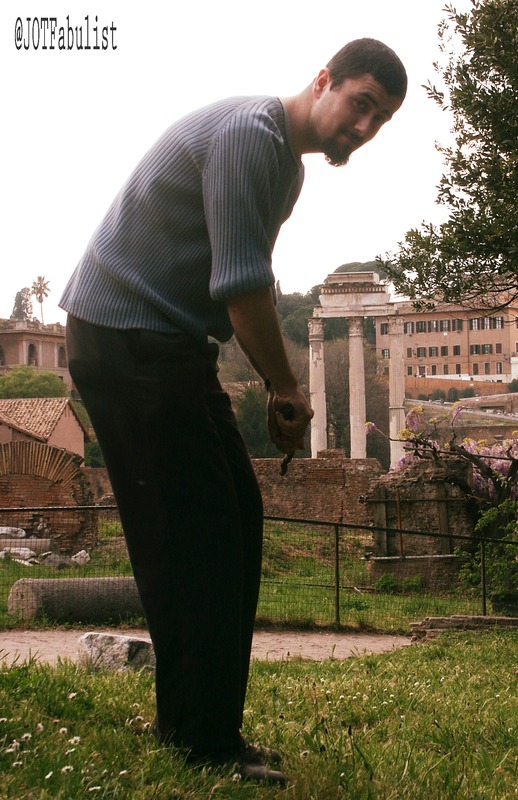 Here, we find evidence of its existence in Ancient Rome. As for me – I was on catering, but rather than whip up an enticing batch of lamingtons (H, be my mentor) I frittered my time on a philosophical debate with an absent ambassador over the diplomatic nuances of food. My reference book was The World On Your Plate – collaboratively written by various ambassadors to Singapore as part of a fundraising effort for the Tang Tok Seng hospital. What dish, I wondered upon receiving it, had the Australian High Commissioner brought to the same table as the Filipino Adobo or the Laotian Laap? Could it compete with the historical richness of the Spanish Paella? Could it embody as much festiveness as the Chinese Jiao Zi? ANZAC biscuits. That’s what he brought. So… yes. And also… huh. I’ll be the first to stand proudly (by which I don’t mean “to attention”, but “at a carefully-calculated ease from which one can shoot a rabbit or reveal an oversized knife with a fluidity of movement which defies expectation”) and say there’s a strong argument for the ANZAC biscuit, not least of which is that it’s a darn tasty biscuit. But it also embodies many of the fine qualities we like to think of as being part of the Australian National Character. It hints at resourcefulness – being the far greater sum of the basic ingredients which constitute its parts; practicality – being so full of golden syrup they won’t spoil under pretty much any storage conditions over pretty much any period of time; and tenacity – whether you subscribe to the school of make-em-so-they-won’t-break-even-if-you-fold-em-in-half, or the school of make-em-so-they-won’t-break-even-if-you-bang-em-with-a-mallet. Nor do I want to spit on the biscuit’s origins: the war that forged not only our nation, but a very fine movie starring Mel Gibson and a tradition of pilgrimage to Gallipoli in which I, myself, have partaken, and during which we really did watch that Mel Gibson movie. Far be it. World War I trenches at Gallipoli, Turkey. War graves at ANZAC Cove, Turkey. The ANZAC biscuit, in sum, is a great biscuit indeed, and one that any Australian should dutifully shovel into the mouths of the coming generation until they learn a fond affection for it, borne either of genuine taste and sweet memories, or (failing that) of a kind of oat-based Stockholm syndrome. It is just that important. Still. I wonder if it’s the right message for today. Modern Australian cuisine is something I recognise when I taste, but can’t accurately explain. It’s what SBS Food describes as an unashamed mix of inspiration from South-East Asia, the Mediterranean, Europe, and just, like, wherever. 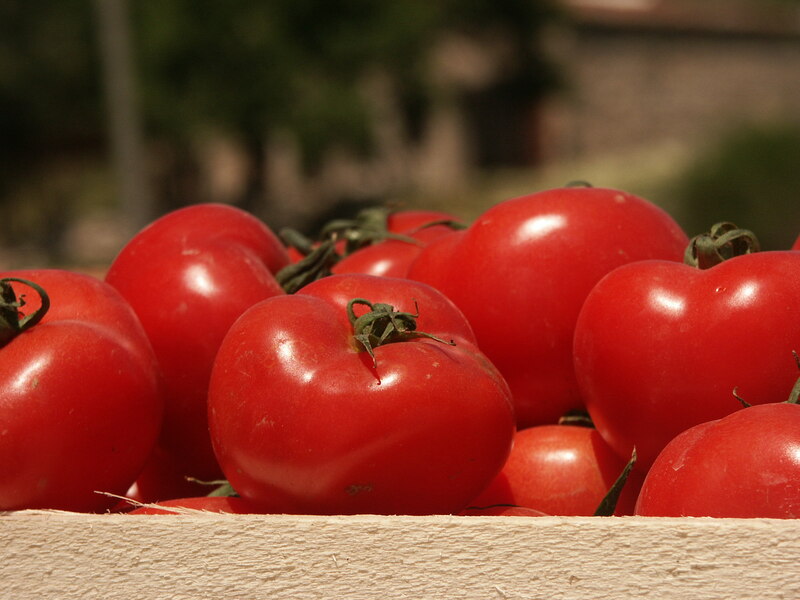 Also from our pilgrimage to Gallipoli. It’s the sort of thing that happens when you take bread and butter pudding, and add chai spice, or decide to put Thai curry paste in your sweet potato soup. It’s vibrant. It’s multicultural. It’s fresh and boldly-flavoured and maybe just a teensy bit disconcerting. What it isn’t is the very same mixture of oats and syrup your Grandfather grew to love in the trenches of Europe, fighting a war at the behest of Mother England. WWCD (What Would Camilla Do)? I asked recently-repatriated chef, Camilla Baker, what she’d do, and she said salads and grills. A sort-of tabouleh, perhaps, but with generous quantities of cous cous rather than bulgur, coriander instead of parsley and mint, and shreds of BBQ chicken mixed through – plus some chopped lettuce. Or go for a noodle salad, with honey soy chicken wings and snow peas. Bonus points for including fresh ginger. Satay’s another option, with an English garden salad on the side. More Paul Hogan than Mel Gibson, in other words. In the end, we went for the sort-of tabouleh plus a watermelon and banana fruit salad with yoghurt, and sent the kids along with cricket bats and “footballs”. We totally should have gone for a paper-plate opera house – mistakes were made – and I don’t think ANZAC biscuits should be absolutely off the list. But if I was Ambassador, I’m not sure I’d introduce my whole country in a cookbook with one. I preferred our culinary statement instead. The best darn recipe site for Modern Australian Cuisine on the internet. How to make ANZAC biscuits (at least according to some people). Cheers once again to a great chef now in Sydney – Camilla Baker. The contents of The World On Your Plate so you can see what your ambassador did for you, if anything. 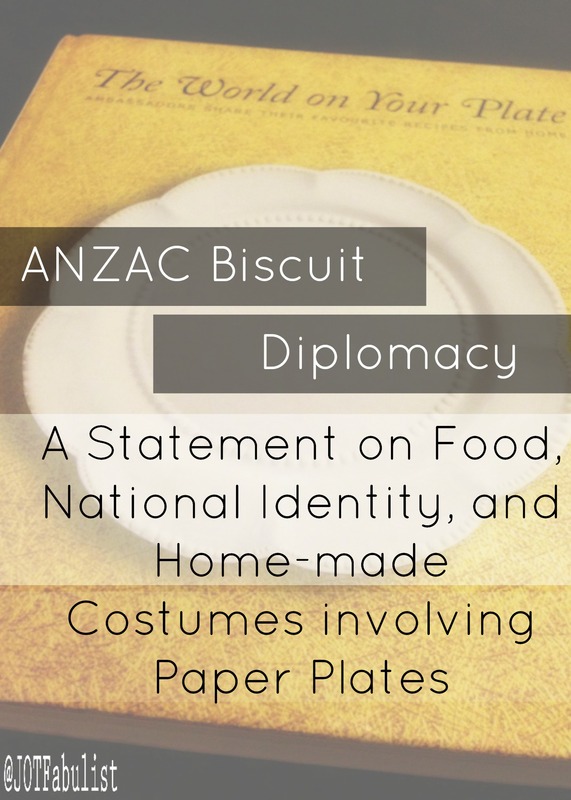 The post Anzac Biscuit Diplomacy appeared first at Journeys of the Fabulist and was shared as part of the Creative Kids Blog Hop #18. I think the Anzac biscuits were a great choice, no matter how they turned out. You lost me at the cork hats though. I think Hawaii has claimed the macadamia nut know, so we are left with the lamington and maybe sarsparilla softdrink!!! Great post. Hmm. Now I’m even more intrigued. Try the recipe linked at the bottom! You’ll get the general idea (even if your cooking is as messed up as mine is – which it’s almost certainly not). Knowing your cooking skills, as evidenced by your blog, they’d be a snap for you to try. So there’s a blog challenge for you straight away – recipe linked in the post! Good to hear your ambassador got it right! Our family loves adobo – it’s a crowd pleaser. Sportsgirl! Oh, you take me back! Maybe you should have narrowed it down to a ‘state thing’. T was born in Queensland and when I think of Queensland food I think – tropical fruit salad with lots of bananas, pineapples, mangos and the like. Then there’s a pavalova decorated with tropical fruits although New Zealanders of course would argue that the pavalova was their invention but we all know they are wrong. Oh – and don’t forget the macadamia nuts too – although not with the fruit salad or the pav. We were halfway there on the fruit salad then. I thought of macadamia nuts but I don’t think Queensland schools allow them any more so that would have lacked something in authenticity. The cork hat thing though – it’s a bit ANZAC biscuit. Same dilemma, different form. Learned something new: modern australian cuisine sounds wonderful. Quite like that “disconcerting”. So how’d the biscuits go over? Can’t go wrong with all that syrup. We went for the more modern version. It has everything to do with politics and nothing at all to do with the fact that my ANZAC biscuits have always turned out horribly. I don’t even like ANZAC biscuits. For me, Australian food is all about variety of different foods and cuisines so impossible to encapsulate in one dish. When I am overseas, I miss all the variety. I miss having the best butter chicken I have ever had, awesome noodles, sushi, chinese dumplings, yummy saganaki, Vietnames rice paper rolls, Ethiopian feasts, delicious Australian styled breakfasts and awesome pizza within a 15 minute walk from my home. It’s all this and more that I think of when I think of “Australian” food. But yes, the variety. All those examples made my mouth water. I do appreciate how hard a job it must have been to narrow it down to one dish, under the circumstances. Sorry but they are yucky 😉 I think some vegemite toast would have been better!! Or tim tams. Ha, I’d describe Australian food as “normal but a lot tastier” 😉 Your food really has benefitted from all the nationallities bringing their best bits and adding it to the cuisine! But Anzac buiscuits were not a bad choice! It’s so tough to narrow it down to one dish. But yes – best bits combined. That’s definitely the aim! 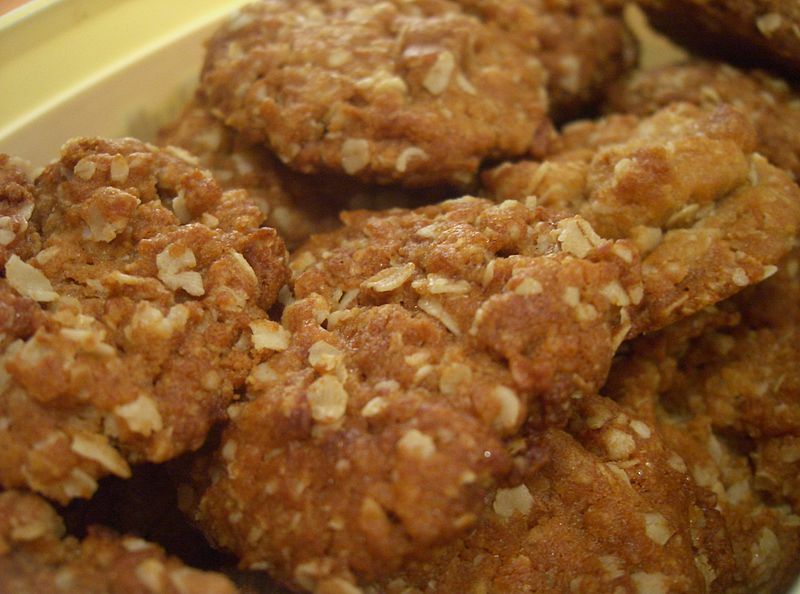 You know, I still have never had an ANZAC biscuit, though it’s on my to-do list: to make a batch so I can try them. Another blogger gave me a recipe. I just throw them a carefully-calculated pose from which one can shoot a rabbit or reveal an oversized knife with a fluency of movement which defies expectation and they wave me on through. Luckily there are no rabbits at the airport, and security won’t allow knives, because otherwise the game would be up. New York Cheesecake!!?? Oh my, that is hilarious, I know more Americans that dislike cheesecake than like it. I will have to check out these biscuits… they look like oatmeal cookies to me. I am so glad you were in touch with Camilla! I miss her posts. Yes, me too! When she gets settled she might start blogging again…?? Interesting to hear your take on the cheesecake – I guess each culinary tradition has its controversies then! Of course! If it was lower in calories and more healthy I would eat it for every meal! 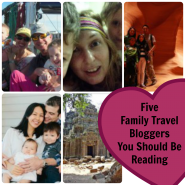 Seriously – none in Thailand? A dish like that should go global. You’ll definitely have to make it down to Singapore again (can’t promise it’ll be just like NY but I will certainly not complain). Well some places have it, but it is a shallow representation of the real thing usually. Actually my friend makes it occasionally and it is wonderful. I am glad that she only makes it occasionally though, I would have to get two seats on my next flight otherwise! Ok, now I’m reluctant to recommend anywhere in Singapore. Some versions I’ve had even I can tell they’re a bit light, but overall I’m not that confident in my cheesecake palate. Plus I can’t remember where the good/not-so-good stuff is. I know exactly what you mean. Exactly what you mean. I am so good with that move right up until the “fluency of movement” part. Then it all just goes to pot. Actually, let me amend that. I wish all diplomacy was chocolate. Now you’ve got me craving a Tim Tam. ANZAC biscuits are a new one for me. Got me thinking what Canadian food might be. How about a jug of maple syrup and call it good? Maple syrup, preferably with pancakes and bacon. Not sure how Canadian you think that is, but it’s pretty tasty so definitely a dish to be proud of from my angle. During the Calgary Stampede there are free pancake breakfasts all over the city so that must give pancakes and bacon some Canadiana stamp don’t you think? I… yes, I think you’re probably right but could you just excuse me for a moment while I google “Calgary Stampede”? Oh, that’s the rodeo! Right. Yes. Yes, you are right. Haha. I wouldn’t own up to it, either. Well, secretly, perhaps, in a sort of perverse way. I mean, meal worm pizza. I think the Opera House hat has the look of a Roman soldier to it. The Aussie Princess look is hard to visualize, so I can see why Chinese has more appeal for T! But yes, Aussie princess… I guess you’d have to dress up as Kylie Minogue, Pop Princess, and even then the look is a bit vague. This sounds a lot like the World Community Day at our school only we get to represent countries where we DON’T live. The year I pulled Australia I was paired with an overachiever who wrote away to the tourist board and tracked down a didgeridoo, but the year I had Egypt I was paired with another mom like me who showed up barely prepared and we winged an activity involving hieroglyphic stamps. I’m wondering if it would take the pressure off to represent foreign countries (you can always plead ignorance) or if it would add to it (but you might still offend everyone). Fortunately, it’s hard to insult people who don’t know any more than you do. LANCASHIRE hotpot with YORKSHIRE pudding??! Are they trying to incite another War of the Roses?!?! Ha! I love ANZAC biscuits (in their place – lunch boxes and other casual morning tea capers) but as a contribution to a nation’s cookbook? Nay 🙂 As to what, though, I’m not sure – I think Modern Australian is more a description rather than an actual cuisine, and certainly doesn’t offer any guidelines. It’s probably not mature as a cooking genre. Definitely in “know it when I taste it” territory. I do appreciate the difficulty of the task. Lunch boxes – excellent place for ANZAC biscuits. Nothing better for a lunch box. I love ANZAC eating and baking bikkies, though commit the cardinal sin (according to some) of adding sultanas. I… I’m not sure I can even reply to this comment after the whole “sultana” thing. I couldn’t entirely fault the choice, it’s true. But I was kind of disappointed in the choice as a single dish to represent us. It’s tough to come up with an alternative, though. I was thinking of you and the cowboy costume with this one. P wanted to go as an astronaut, by the way, but we don’t have a space program. Darn … The tin foil astronaut would have been easy. And you know that’s just the six-year-old (and parents-of) version of that complaint. You should hear what the rocket scientists have to say about it. All kinds of mysteries in this post for me. It’s about as close to a “National Costume” as we come. It’s definitely a head-scratcher, that one. Out of interest, what would you say the Australian National Costume is? I wasn’t aware there was such a thing as a national costume – Australian or otherwise. I feel it falls into the same category as a national doorknob or a national bolt (as in an attaching device) or perhaps a national screw (get your mind out of the gutter Bronwyn). I would have to say that from eastern Canada, the first image that pops to mind when someone says Australia, is a kangaroo (after Journeys of the Fabulist, of course). Tim Tams are always popular, but not as home-makeable. (Also, the school requested we didn’t just go out and buy a packet of chocolate biscuits. Something about health, etc etc. Don’t they know eating junk food is part of our National Identity? How can I have never heard of the anzac biscuit as a citizen of this global food court we all sample from?! You must track some down and/or cook some immediately, just for the cultural experience.